"I can help you laugh, but I can't take away the tears you've shed." 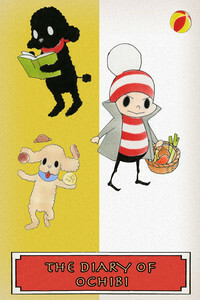 In Mametsubu-cho, a town somewhere in the ancient Japanese city of Kamakura, Ochibi lives a relaxed, easy life. With his friend Nazeni the dog, Jack the naughty kitten, and Pankui the hungry dog, Ochibi's year in Mametsubu-cho is filled with encounters and new discoveries! Flower-viewing in spring, swimming in summer, collecting leaves in fall, and eating yummy food in winter. The changing seasons are drawn with a light touch. Historical fantasy from Hiromu Arakawa, the creator of Fullmetal Alchemist! In the prosperous kingdom of Pars lies the Royal Capital of Ecbatana, a city of splendor and wonder, ruled by the undefeated and fearsome King Andragoras. Arslan is the young and curious prince of Pars who, despite his best efforts, doesn’t seem to have what it takes to be a proper king like his father. At the age of 14, Arslan goes to his first battle and loses everything as the blood-soaked mist of war gives way to scorching flames, bringing him to face the demise of his once glorious kingdom. 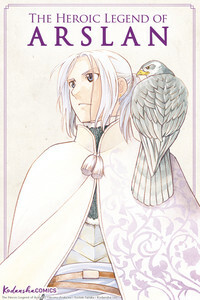 However, it is Arslan’s destiny to be a ruler, and despite the trials that face him, he must now embark on a journey to reclaim his fallen kingdom. 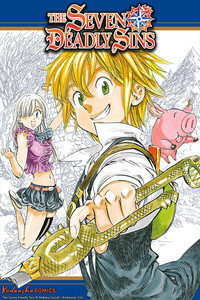 From the bestselling author Masahito Soda, creator of Firefighter! 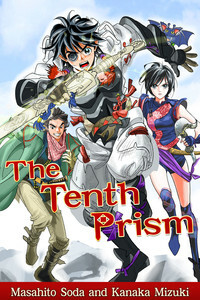 Daigo of Fire Company M – which sold over 8.3 million copies – and the kart racing manga Capeta (which sold over 6 million), comes The Tenth Prism. Soda’s new epic fantasy marks his entry into the genre, and is certain to be yet another hit. “In the distant future, or perhaps the past, a small country – the “Kingdom of Bones” – discovered a forbidden technology previously unbeknownst to man, and plunged the world into fear and despair.” With an illustrious history stretching back to antiquity, the Kingdom of Karan – loved by its citizens and neighbors alike – existed in peace and in harmony with nature. After the kingdom’s fall, however, its citizens scattered in exile across regions, and hope for its restoration rested on one small boy – the kingdom’s prince, Tsunashi. Though he is reluctant to take on the task of reviving the kingdom, the prince’s patched right eye conceals the mark of the prophesied savior: the Eye of Gold. When the Kingdom of Bones’ advance intensifies, a skillful ploy by a vassal finally removes the seal on the prince’s power. With threat from the mysterious Kingdom of Bones growing by the second, the curtain opens on Tsunashi’s journey to harness his concealed powers and fight for his kingdom. 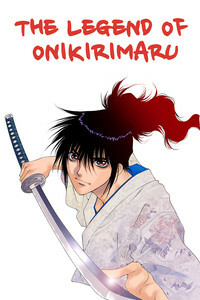 A demon boy who lacks horns on his head wields the cursed blade "Onikirimaru", the one weapon that can slay a demon, in a never-ending battle with the demons that haunt Japan during the age of the samurai. Behind the stories of Oda Nobunaga, Toyotomi Hidetsugu, Ishida Mitsinaru, and the other famous generals of the Japanese civil wars lurk secrets and demons... An astonishingly deep story about these demons and the sword Onikirimaru! And this also includes the secrets of Onikirimaru's birth, which readers have always wanted to know. The legend of Onikirimaru explains clearly how Onikiri was born, and the hidden secrets of his past. Behold the battle between the darkness of the age of the samurai and Onikirimaru, as drawn by popular woman's author Kei Kusunoki! Kekkon Yubiwa Monogatari - A high school girl becomes a newly-wed in another world. 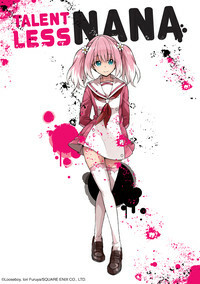 When Sato's childhood friend Hime suddenly said good-bye, he chased after her and found himself in a fantasy world!! 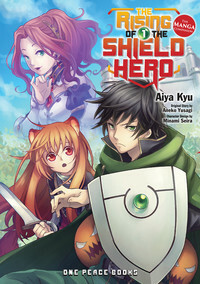 There Sato married Hime and became the legendary hero, the Ring King!! Dusk Maiden of Amnesia's Maybe brings you an Out-of-this-world newly-wed romantic comedy!! Takahashi-san ga Kiiteiru - I only overheard a little bit! 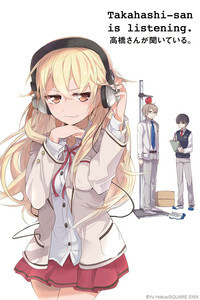 High school student idol Ena Takahashi has a hobby she can't tell anyone about... and that is listening in on the ridiculous conversations of class representative Nara-kun and the plain boy Mikage-kun. If her secret is discovered, people's trust in her will be destroyed! She wants to retort, but she can't! The eavesdropping short-gag manga full of tension and guilty conscience begins! 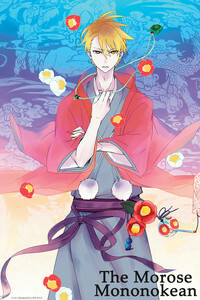 Fukigen na Mononokean - The duty of the morose guide who leads mononoke from one world to the next. Ashiya has spent the first seven days of high school stuck in the infirmary because of a youkai attaching itself to him. He ends up asking the owner of a small tea room called the "Mononokean" for help. This is volume 1 of the mysterious stories involving the very morose owner of Mononokean guiding the youkai that happened to wander into this world go to the next world.